In light of the Art Gallery of NSW’s Sydney Modern project, we’ve been doing a lot of thinking about cultural institutions in the 21st century — what they look like, how they’re organised and used. 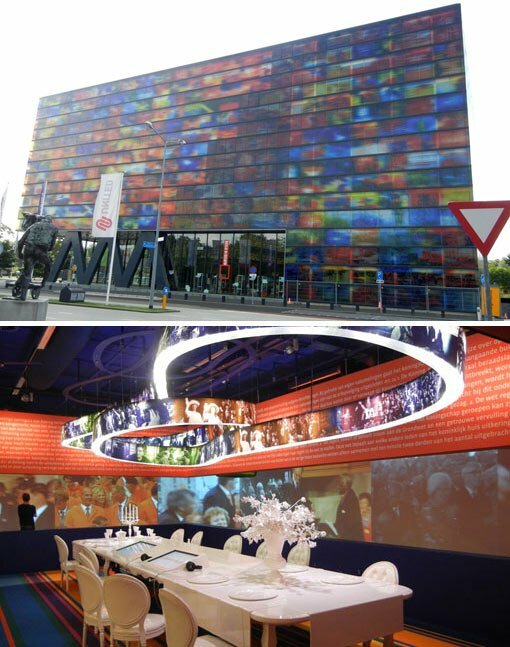 On a recent study trip to the Netherlands, the UK and Hong Kong, libraries and archives were my focus. I began in the Netherlands where it seemed that every institution I visited had recently extended, refurbished or rebuilt, thanks to funds from the National Lottery. The Dutch have long been recognised as leaders in the rapidly changing digital environment and so it was not surprising to hear them talk of the importance of investing in ‘clicks and bricks’. Impressive architectural additions to the Rijksmuseum, Stedelijk and Mauritshuis (to name just three museums) were matched by the development of innovative new ways of giving access to their collections and resources. One colleague, when hearing of our plans for Sydney, commented that any major building work in the 21st century should be conceived as the creation of two ‘buildings’, one in bricks and mortar and the other virtual. 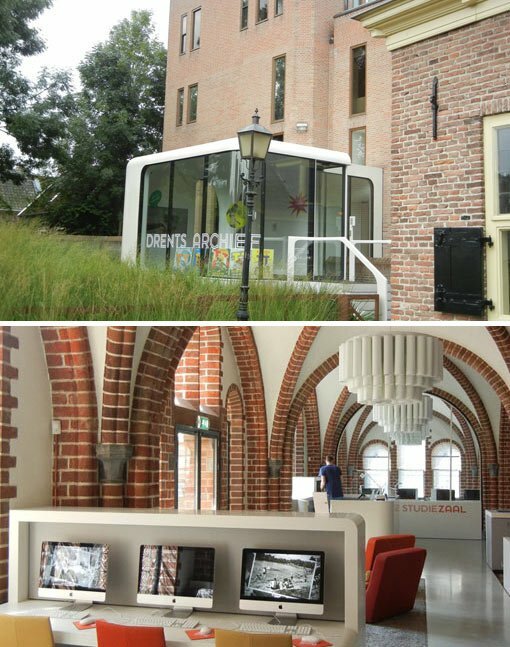 The provincial archive of Drenthe in Assen, a city about 200 kilometres north of Amsterdam, was a perfect illustration of the principle. Staff at the Drents had given a lot of thought to how visitors wanted to access their material. They divided visitors roughly into three groups: ‘snackers’, ‘searchers’ and ‘miners’. Snackers typically came into the archive with limited time on a specific quest, or just wondered in out of interest. Their needs could usually be met by using digital resources, which the archive was continually developing. Searchers and miners needed both digital and (as yet) undigitised original documents. 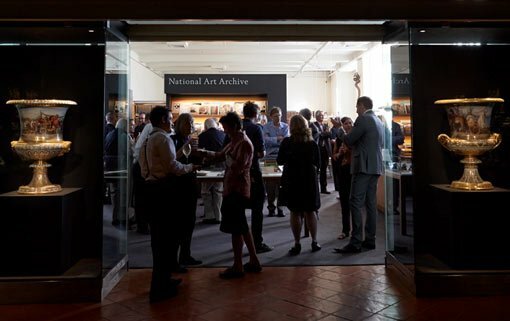 The archive was similarly divided into separate zones, allowing their rich historic resources to be accessed under different conditions and in diverse formats. This division of libraries and archives into three zones — an informal learning hub, a more traditional library space and a study room for original materials — was something I encountered again and again. 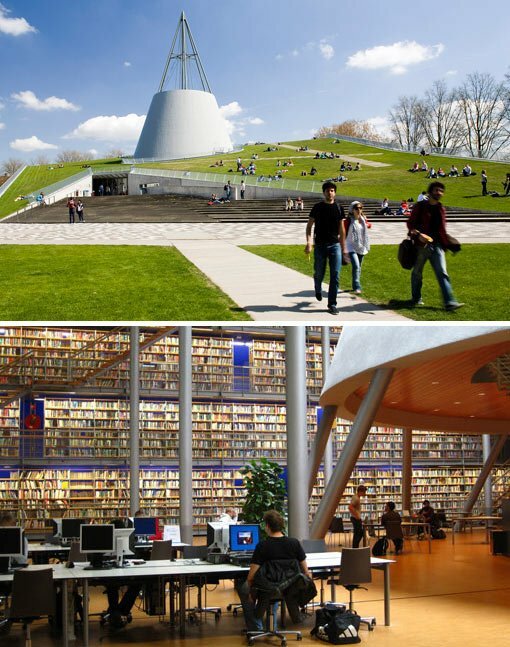 The impressive library of the Delft University of Technology reflected this in its concentric architectural layout, with the informal studies spaces on the edge spilling out into gardens. Moving inwards to the centre was an enormous library and then at the very centre was the Trésor, or treasury of historic books, maps, photographs and prints. Even with these separate zones, all the collections I visited were in the process of being opened up and made more accessible. A worldwide phenomenon at the moment seems to be a growing interest in archives, confirmed by the increasing popularity of television programs mining the archive for the histories of families, homes and bones. The Tate Britain now has two dedicated spaces for archive exhibitions. The Whitechapel Gallery is using archives from past exhibitions as catalysts for new work and new exhibitions. (When I was there, they were showing an exhibition by British artist Stephen Willats that revisited a display he’d made at the Whitechapel in 1979, presenting work from the original show, as well as subsequent work, which gave greater context to that original display.) 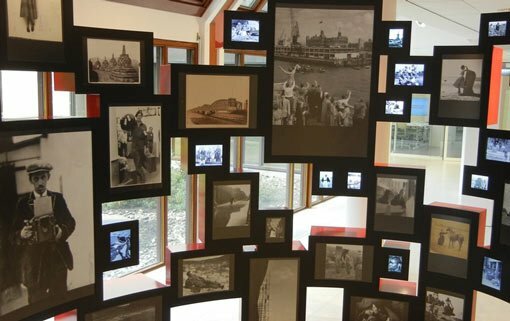 Closer to home, the Asia Art Archive in Hong Kong, established 14 years ago, is not only recognised for its collections of source material about contemporary art in Asia, but also for its diverse public, educational and residential programs harnessing their archives. Here in Sydney, the Art Gallery of NSW has some of the most important visual art archives in Australia. How people will access and experience this wealth of material in the future is what we’re seriously considering now.